What is it about cute little animals that make us all go googoogahgah? These have been out for a while now but I guess I've been completely oblivious until I spotted them on Lovely Package this week. 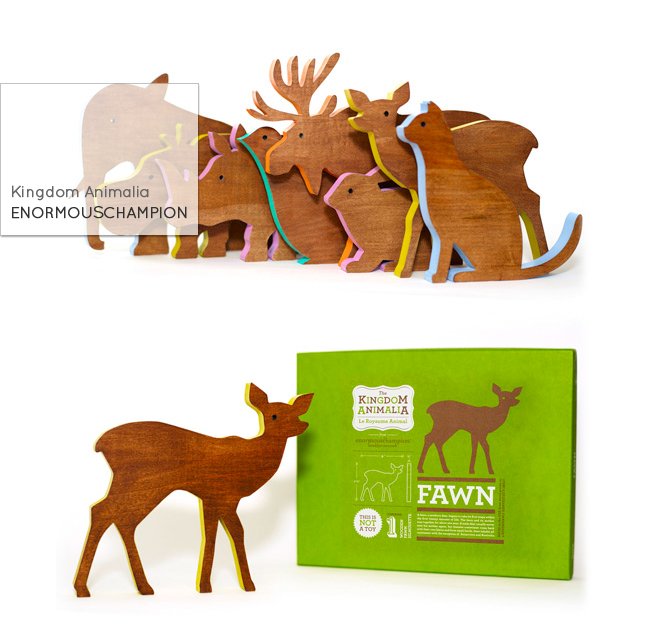 These animal silhouettes by enormouschampion are made in the USA from wood grown in a sustainably harvested forest. The kingdom has 15 members... and the packaging... YUM. Aw, those wood animals are sooo cute! I am with you on the packaging, sometimes I think I love it more than the item. Is that sad? hahaha. I absolutely adore your blog!! These animals are so wonderful!! and yes, the boxes are just as cute! Oh.....*Sigh* I want! I want them all! 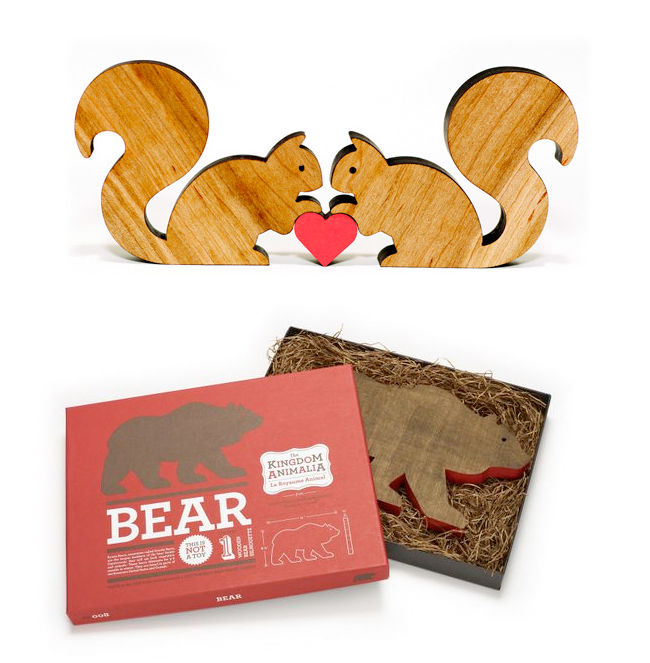 But, especially the little squirrel love pair and.....is there an elephant? I want him too! :) Thanks for this hun, more things to love and covet! Those make me think of animal crackers... Mmmm. SO darling. these would make great gifts. WOW very pretty and nice wood make animal. it is so beautiful and so cute i like it. WOW what a beautiful wood animal. I like very much because it is so cute and beautiful.